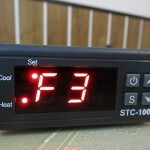 In my review I will describe my 2 year experience with the STC 1000 temperature cotroller. 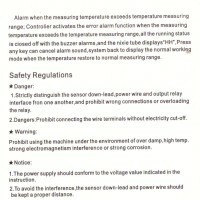 In this article, you can read the pros and cons of the product, manual and wirring guide how to set it up and where to buy it. 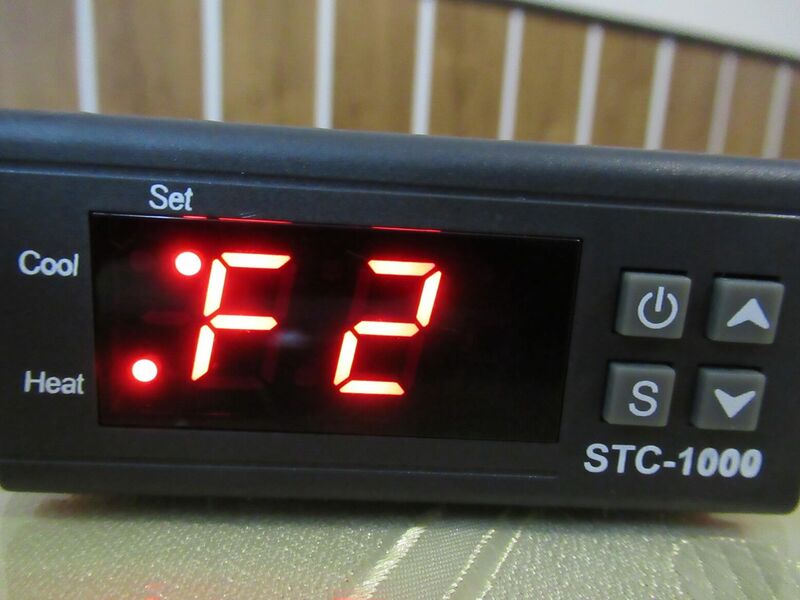 It is a good device with a good price.You pay from 8-15 usd (even with shipping) and you will get a stable device that you can set to high accuracy. 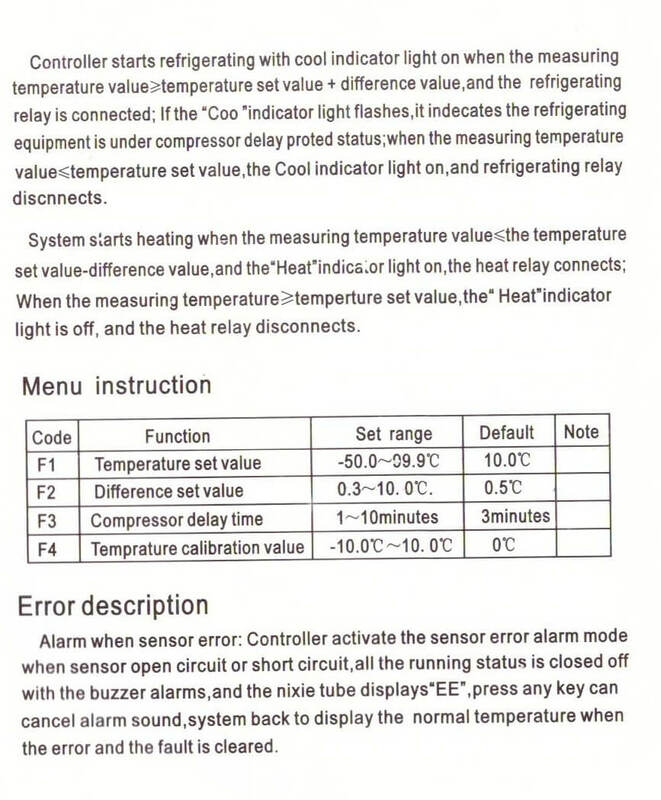 The disadvantage is The disadvantage is the harder control – For example, if you want to set the temperature you must hold the SET button with one thumb and press the arrow keys with the other hand more in manual guide (scroll down). 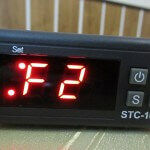 My rating is positive before writing reviews I tried about 12 pieces of STC 1000 . 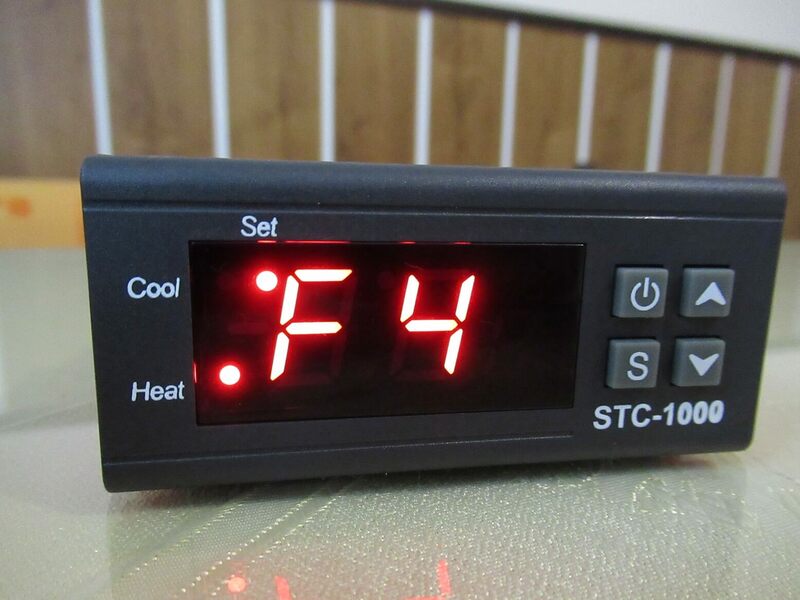 The best use this STC-1000 temperature controller is in the hatcheries ,incubator,animal care sensitive to the correct temperature like in aquarium. It is good in boilers for heating water or in refrigerators and freezers, DIY projects,has been used in many keezers, kegerators and fermenters. 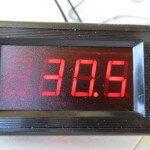 The display is red, it shows three digits four.clearly shows the temperature value withe the one decimal place. 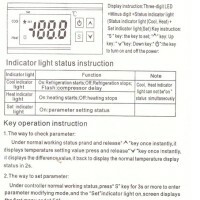 Below the display are four buttons which control the thermostat STC 1000. 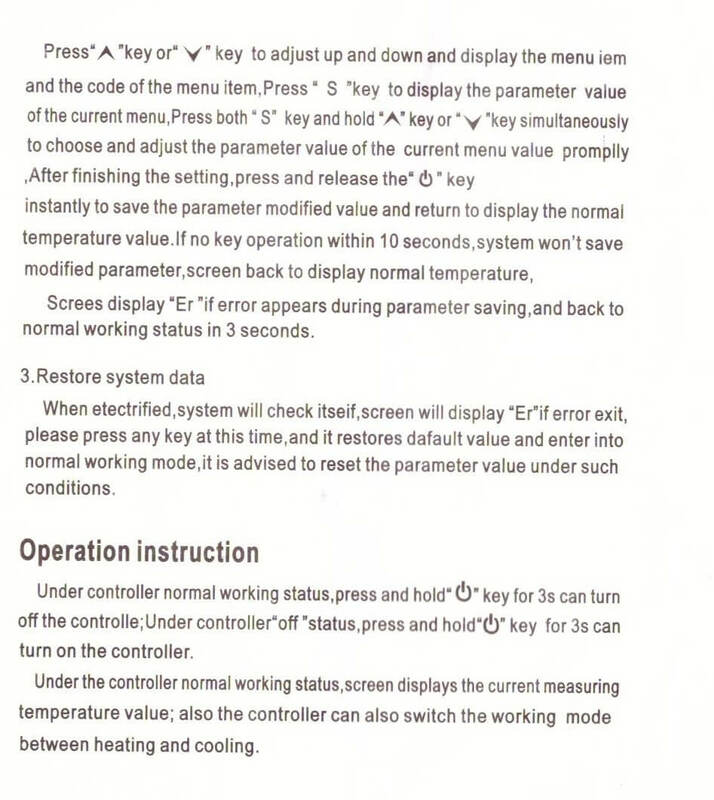 First buton is button is on / off Below it is“SET” button with next two arrows buttons are + and – are used for menu navigation increasing or decreasing values. The display has diodes one shows that the thermostat has activated witch relay is ON (cooling or heating). 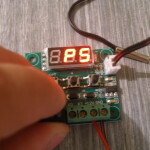 The the third diode lights up when you set the thermostat, called SET. 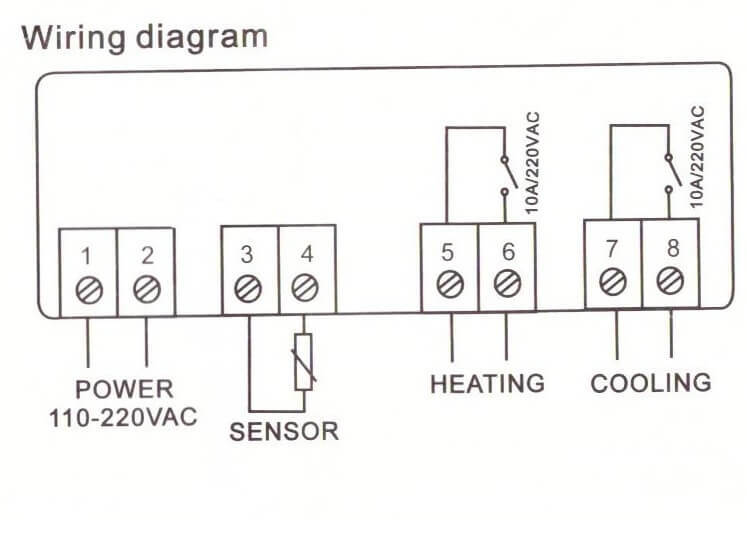 Do we involve green terminal two terminals 1-2 is for power AC 110/220V (230V) , terminal 3-4 for temperature sensor, terminals 5-6 is for heating relay 7-8 for cooling relay . 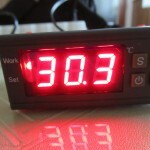 Only 220V (for European market). 220/110V Universal for US and European market. Temperature showing only in Fahrenheit grades. Temperature showing only in Celsius grades. 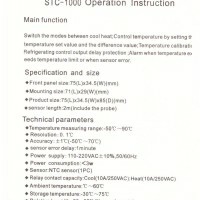 STC 1000 temperature cotroller wirring and manual how to setup. 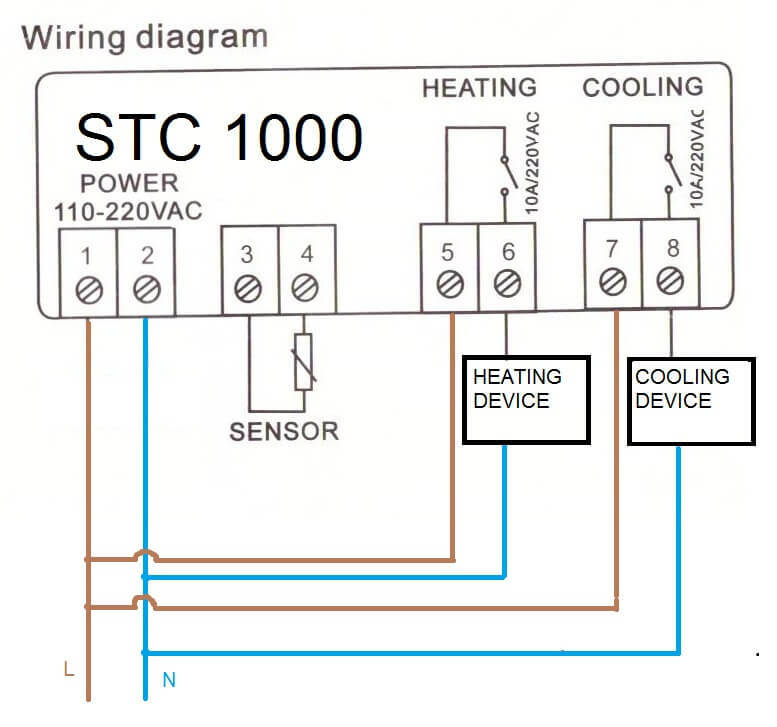 In this manual, I will show you how to properly connect and set up a good temperature controller STC1000. 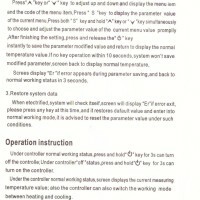 Please read this verified manual carefully. 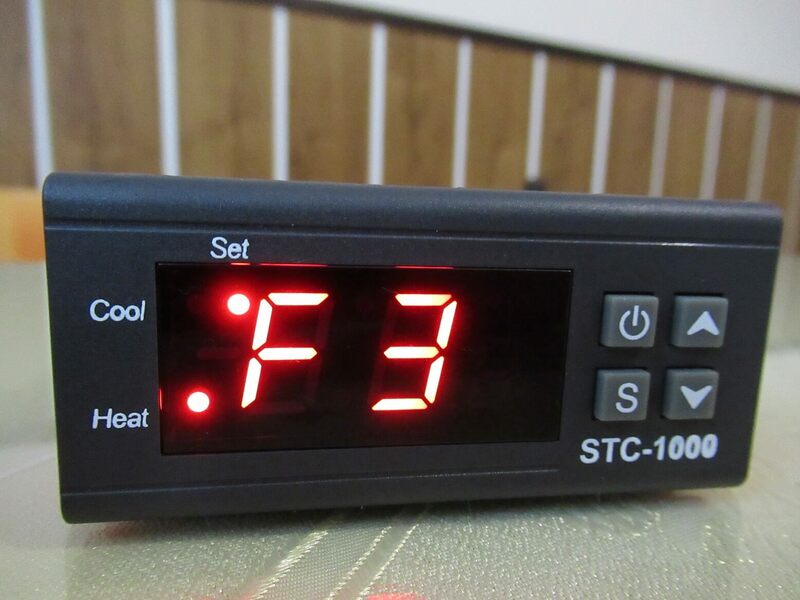 Note:The temperature controller can work with booth device heating and cooling, or with one from this. 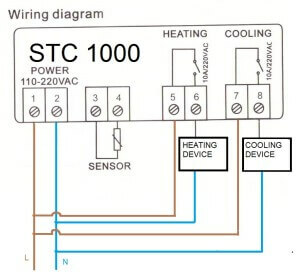 When the temperature is raised to a target temperature of, for example, 30 degrees of the relay for heating, it is switched off , If the temperature rises further and exceeds 31 degrees, the cooling relay switches on. 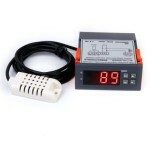 F3:Compressor delay time: time for wait after reach goal temperature , if you set 3 min temperature controller wait 3 min , after 3 min turn on relay. 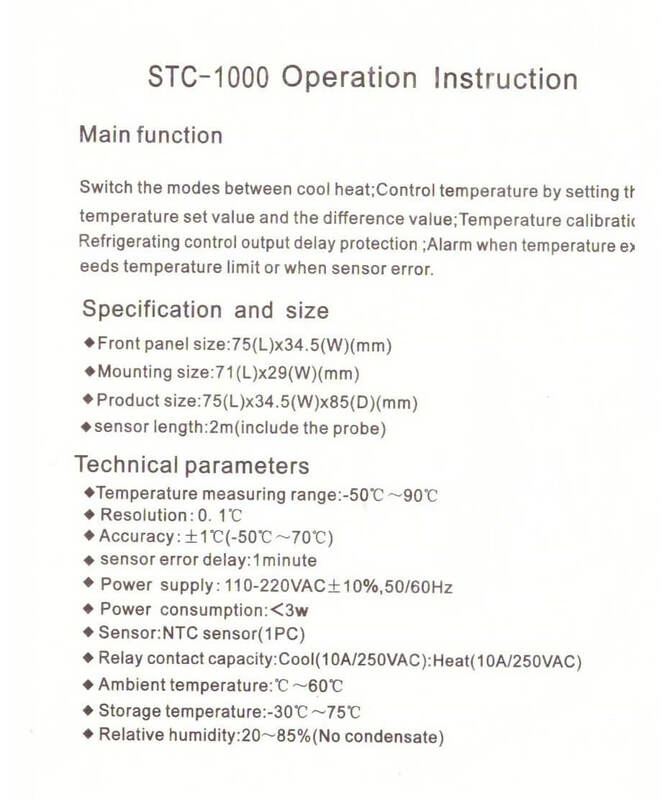 F4:Temperature calibration: You can make the Stc-1000 very accurate, just compare the temperatures with a verified thermometer (best compare at the target temperature) you can increase or decrease the temperature after 0.1C steps. 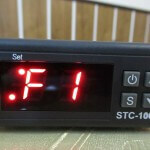 Maybe it’s for technical enthusiasts but there are some interesting ideas on the Internet that modify the controller STC 1000. Vanilla Plain version, with no extra features. 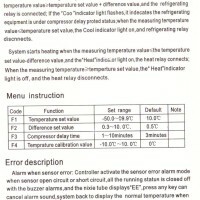 Dual Probe Use a second temperature probe to put limits on ambient temperature. 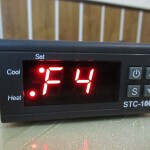 Fine Offset 433MHz Send temperature data wireless (emulate wireless thermometer). 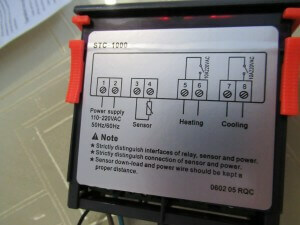 Communication -Use an arduino to send/receive data to/from the STC. 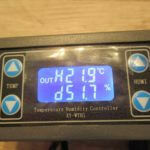 Relative humidity : 20% – 85% (No condensate). 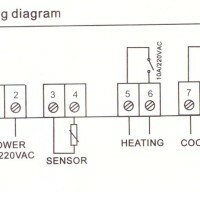 sensor length : 1m (include the probe). 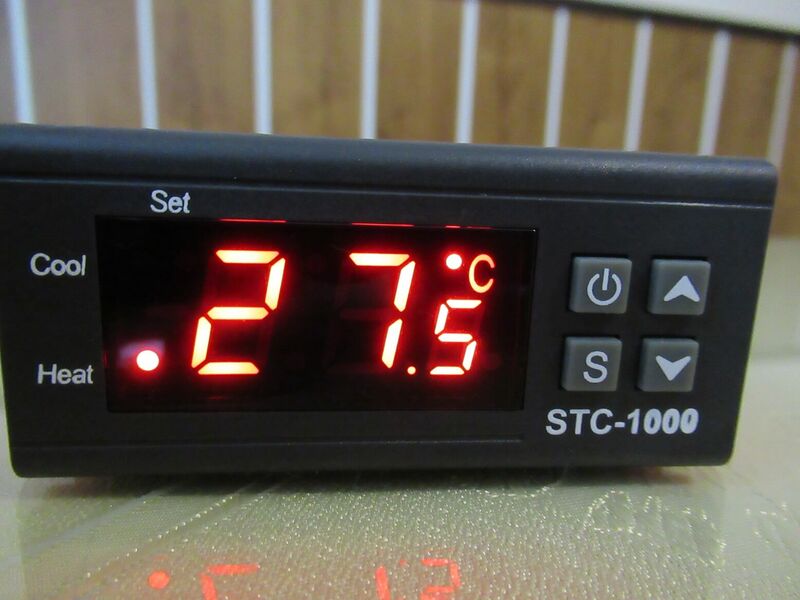 i need some advice please i bought a second hand marine set up fitted with a stc 1000 it was working when i picked the tank up it was left off for about 8 hrs when i turned it back on an alarm went off and its showig EE can someone please tell me how i can get it back to where it was . I am an OEM of a automatic horse waterer. The unit holds 1 gallon of water. I need to keep this from freezing therefore I am in need of a controller. 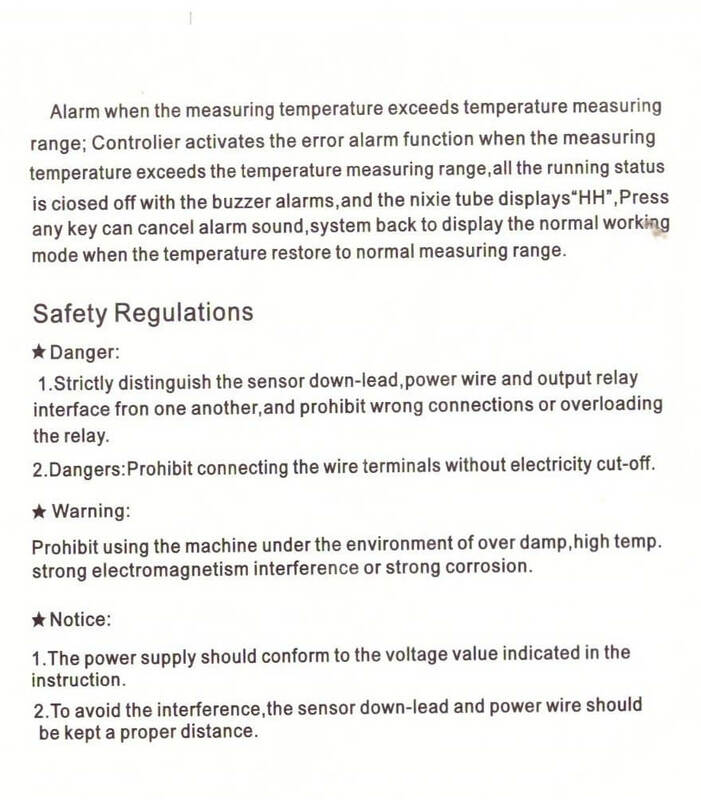 I have a 300 watt Immersion heater installed and I also have a 1/2″ Female NPT coupling installed for a temperature sensor/ thermowell. 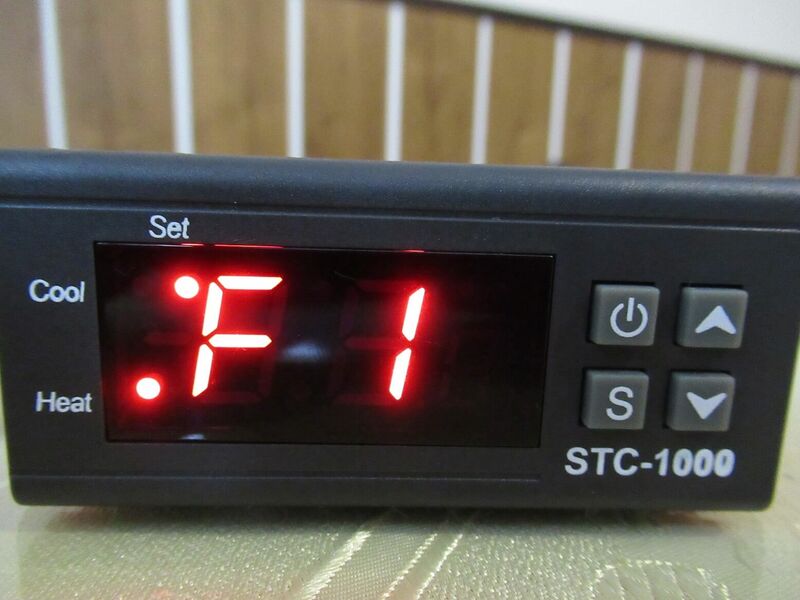 I am thinking that I would like to use the STC-1000. 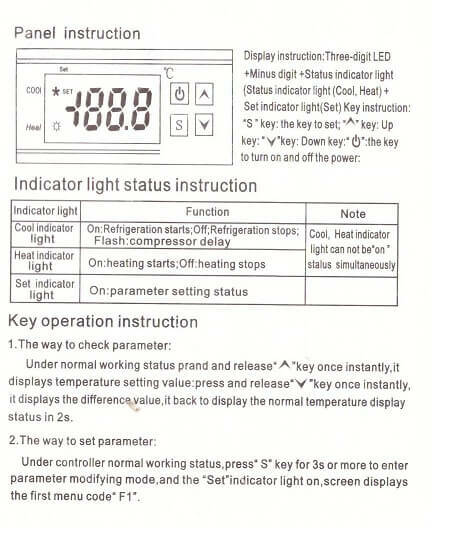 I am checking to find out if I can use a temp. 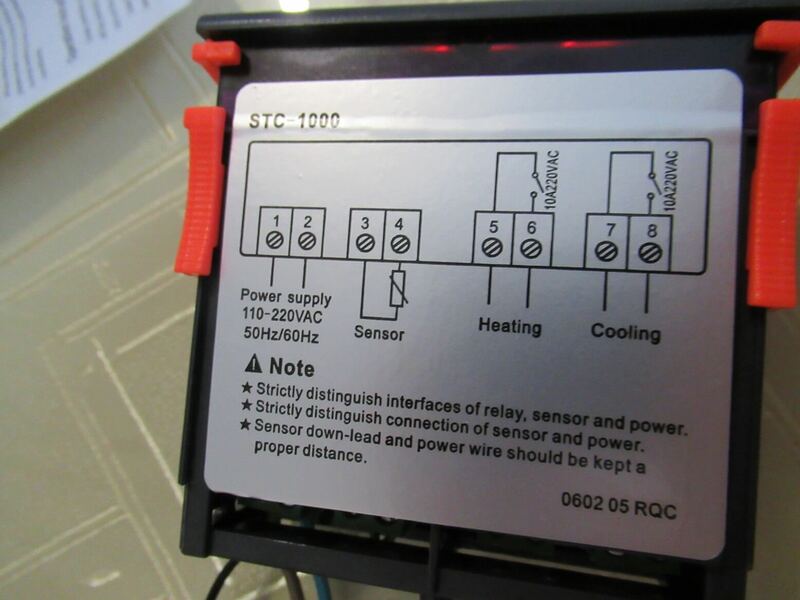 sensor that would go inside say a thermowell and then wire into the controller. Can you help me? I need some advice. Thank you very much.